Lets see this seasons birds. Here's our first for the year. Area 2 early goose. 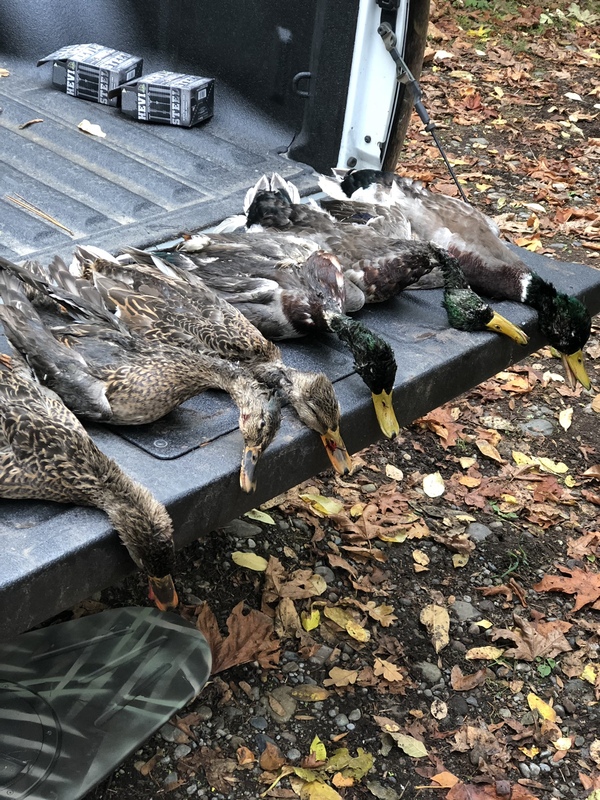 This is off the Skagit just a morning hunt. 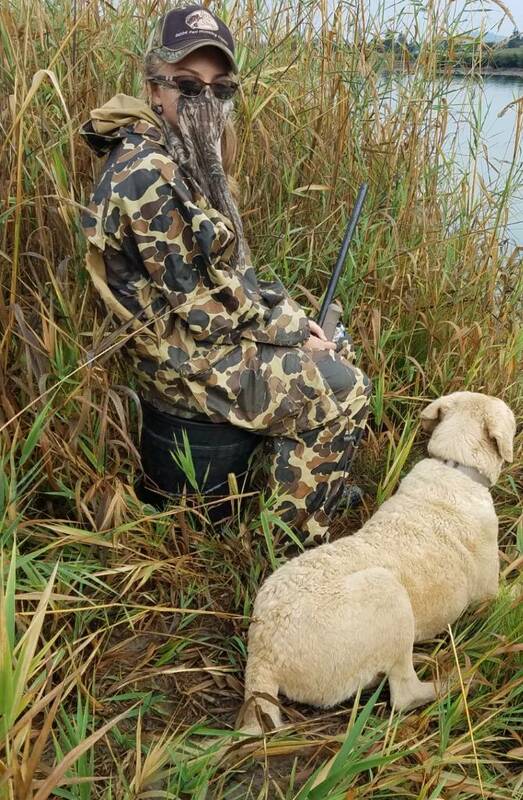 Took my daughter out on her first official hunt. She missed out fumbling with the safety so I couldn't wait any longer. Taken with my 99 year old dual stamped Ithaca Lefevre 12 gauge 34"side by side with #4biz. Way to go Special T! As a father (YoungFower's - the OP here), I know what it's like to get the kids out on their first hunt and watch them struggle. What's cool though, is when they start to get it and before long, are better at it than you. Keep it up! She will get it soon. Congrats to you guys that were successful I however didnt make it out today because everyone i was supposed to hunt with bailed. 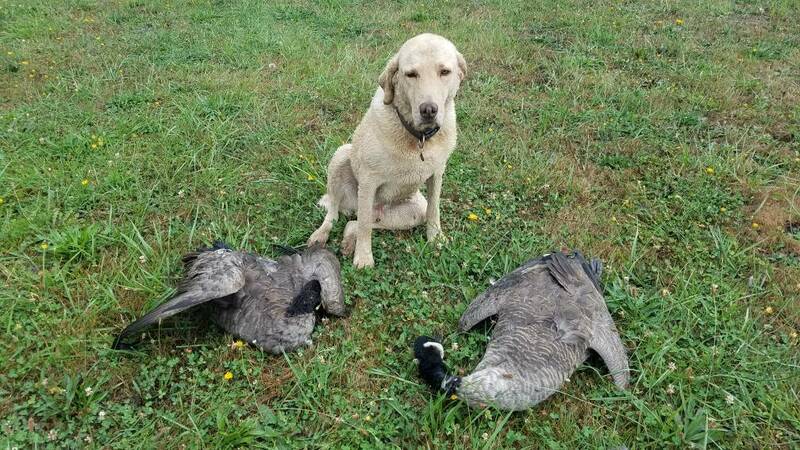 Looking for any input on where to start or look for geese ive been scouting the last couple days and not turning anything up. been all over not seeing much. She figured out how to work the safety today but hasn't hit anything so far. Morning isnt over yet tho! Nice birds all! Way to kick things off! Nice. Is that a Wirehaired Pointing Griffon?